To claim this profile, please confirm you are Madyson Bevard. To follow this profile, please let us know your relationship to Madyson Bevard. RESULTLoss Girls varsity basketball vs. Camden-Frontier. The Litchfield varsity basketball team lost Monday's home playoff game against Camden-Frontier (Camden, MI) by a score of 63-31. Girls varsity basketball vs. Waldron. RESULTLoss Girls varsity basketball @ Climax-Scotts. The Litchfield varsity basketball team lost Thursday's away conference game against Climax-Scotts (Climax, MI) by a score of 48-15. Madyson was selected the Player of the Game in the basketball game against Marshall Academy on Tue, Feb 26 2019. Congratulations to #4 Madyson Bevard for being selected the Litchfield Girls Basketball Player of the Game. Madyson's basketball stats have been updated for the win vs. Marshall Academy. RESULTWin Girls varsity basketball vs. Marshall Academy. The Litchfield varsity basketball team won Tuesday's home non-conference game against Marshall Academy (Marshall, MI) by a score of 54-11. Madyson was selected the Player of the Game in the basketball game against Will Carleton Academy on Fri, Feb 15 2019. 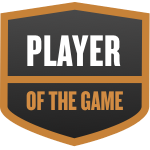 Madyson was selected the Player of the Game in the basketball game against Tekonsha on Thu, Feb 07 2019. Madyson's basketball stats have been updated for the loss @ Waldron. RESULTLoss Girls varsity basketball @ Waldron. The Litchfield varsity basketball team lost Thursday's away conference game against Waldron (MI) by a score of 53-31. Madyson's basketball stats have been updated for the loss vs. St. Philip Catholic Central. RESULTLoss Girls varsity basketball vs. SPCC. The Litchfield varsity basketball team lost Tuesday's home conference game against St. Philip Catholic Central (Battle Creek, MI) by a score of 58-22. Madyson's basketball stats have been updated for the win @ Will Carleton Academy. RESULTWin Girls varsity basketball @ WCA. The Litchfield varsity basketball team won Friday's away conference game against Will Carleton Academy (Hillsdale, MI) by a score of 42-34. Madyson's basketball stats have been updated for the win @ Burr Oak. RESULTWin Girls varsity basketball @ Burr Oak. The Litchfield varsity basketball team won Thursday's away conference game against Burr Oak (MI) by a score of 55-39. Madyson's basketball stats have been updated for the win @ Tekonsha. RESULTWin Girls varsity basketball @ Tekonsha. The Litchfield varsity basketball team won Thursday's away conference game against rival school Tekonsha (MI) by a score of 55-32.